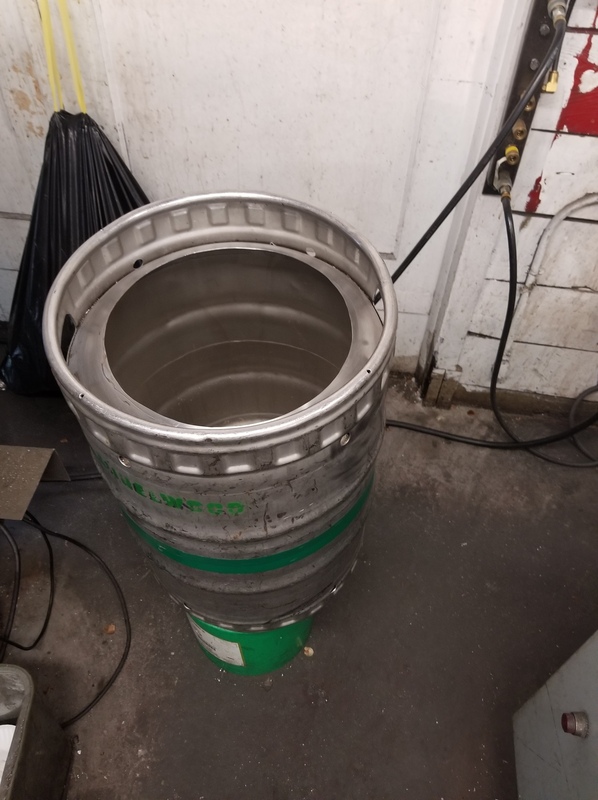 A friend bought me a decommissioned keg for 30 bucks on Friday so I'm going to make a keggle this week and up my production to 10 gallon batches and still be able to brew outside. Life is good. Does anyone here use keggles for biab? I bought a bag for the grains just curious about starting volume of water. Brewers Friend has a total recipe planner that has a BIAB option......I'm usually spot on with OG when I brew with one of my recipes with their software, water calcs, etc. I guess I should add that I batch sparge with 170* 5.4 pH water, which for 5 gallon batches generally(highly variable depending on grain bill) is around 4.25 gallons versus 3.75 gallons in the BK for the mash. Generally you will double that for 10 gallons. For dunk sparge or no sparge obviously you'll get different splits. So pretty much just top off with a few gallons? I just squeeze and drain. Hopefully it all fits in a 15.5 gallon keggle. I bought a pulley as well just trying to figure out where I can mount it outside to lift it up. A nice tall ladder would be nice but I don't have one. Just lots of trees here in oregon. That's an idea. What is a typical gravity of beer you make starting with 12 gallons? Just a standard one. Which one would you recommend? I've used a 50' immersion chiller which works fine not super fast but workable. Now I have a counter flow that I use only on the big batches and drain through a window to my basement and fermenters. I use it more for the ease of moving the product although it does chill faster also. I have both an immersion and CF. The CF is faster but much harder to clean and feel safe that it is clean. I always run some of the boiling wort through before turning on the water just in case. If you end up with both, the IC can be used first to drive the down the temp before running through your CF. Yeh it would be nice to have it come out at the right temp right away. How do the big breweries do it?